This HHI FSBO beach vacation home is located in the very desirable Indigo Run area of Hilton Head Island. Awesome second floor condo with views of the forest woods and the morning sun. This Hilton Head resort property was completely renovated in 2012, including paint, wood floors and carpet, new kitchen cabinets with soft-close feature, granite counter-tops and appliances, including w/d. New cabinet with granite in Master Bath. new HVAC and water heater, garage opener, whole house water system as well as sink system in kitchen. Ceiling fans in rooms and upgraded smoke detectors. New roof on bldg in 2014, gorgeous landscaping with entry fountain, pool and fitness facility in complex. 2 car garage is attached with inside entry. Furnishings are also available for additional amount. MUST SEE for investors interested in a resort property on the popular South Carolina coast. 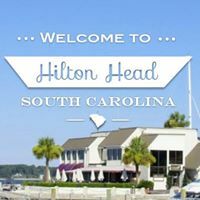 Hilton Head Island, sometimes called simply Hilton Head, is a Low Country beach resort town located on an island of the same name in Beaufort County on the South Carolina coast on the east coast.